Yet another summer...yet another one I can't really drink alcohol. For the past three summers I've either been pregnant or breastfeeding, meaning I've either avoided alcohol completely or only been able to have half a glass. To be honest this doesn't have that much of an impact because I barely drink even when not pregnant/breastfeeding. I just prefer not to, paired with the fact that I don't like a lot of alcohol anyway. 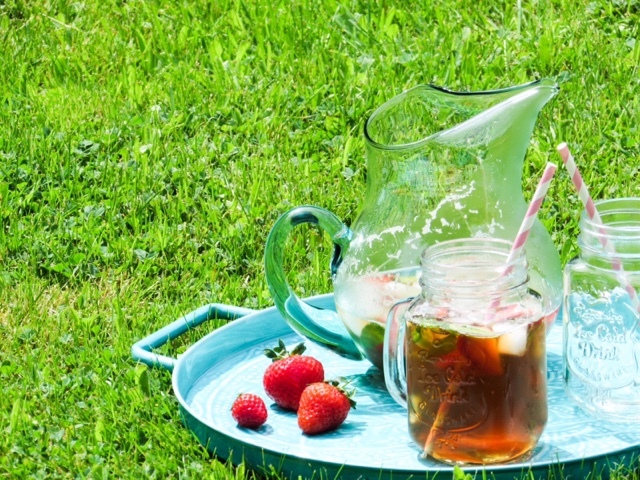 Having said that Pimms is one of my favourite summer drinks of choice, it's just so refreshing! As I'm now into my fourth summer of no/little drinking I was determined to find an alternative to Pimms (very much like my attempt to make non-alcoholic mulled wine at Christmas!). That was when a fellow mummy friend asked if I'd tried balsamic vinegar and lemonade together...yes you read right...vinegar and lemonade! Not exactly a combination that will probably have you watering at the mouth, but trust me...you'd be surprised. It really does taste like Pimms and there's not a hangover or drop of alcohol in sight! Perfect for anyone who's pregnant, breastfeeding, driving or simply doesn't want to drink. 1) I've not provided any measurements because it is down to your personal taste. The key is adding only a tiny amount of balsamic vinegar at a time because if the balance isn't right it will taste too much like vinegar. In a jug slowly add balsamic vinegar into lemonade, stirring really well each time, until you're happy with the flavour. It won't taste like Pimms at this point, the trimmings make all the difference. 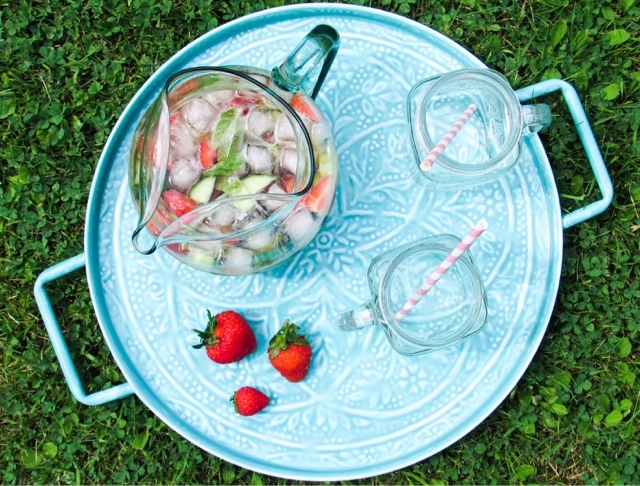 2) Add ice, chopped strawberries, cucumber and whole fresh mint leaves into the jug. Mix well and serve. Not only does it look like Pimms, it tastes like it too! 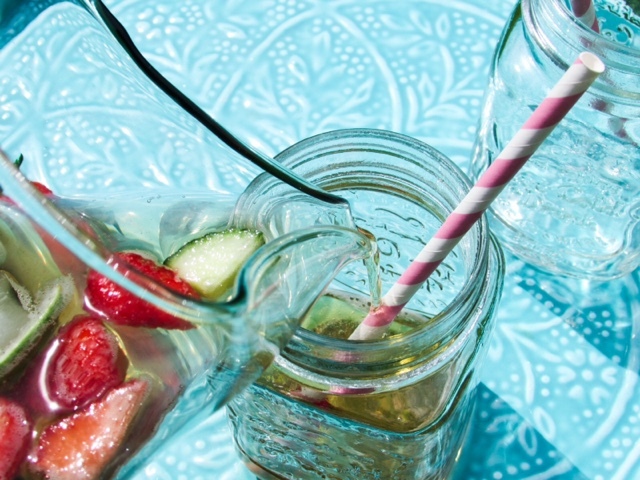 What's your favourite non-alcoholic summer drink? 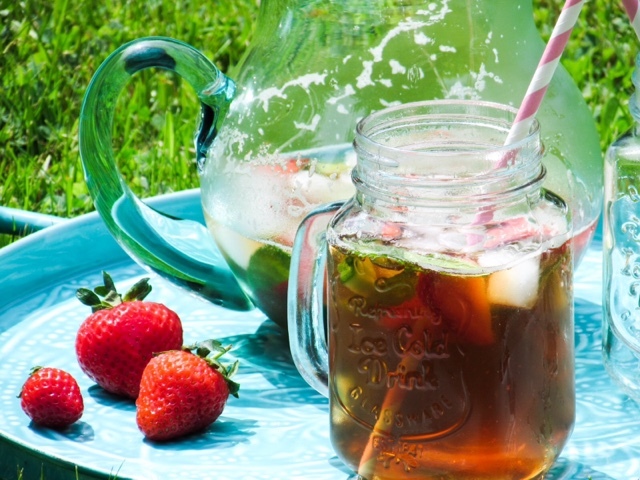 I love Pimms so will have to try it! Oh my goodness this is so clever. My fave non alcoholic summer drink is probably tonic but this is more fun! That looks so refreshing, shame we're not having a great summer though! I like the sound of this summer drink. I will be trying it. Yes!!! We recently had a summer party and I don't like to drink alcohol and we made this. Delicious! Who knew you could make a tasty drink with balsamic vinegar! I would never have thought to do this! I actually really want to try this! Also a big fan of a virgin mojito - soda,lime and mint with a little sugar to sweeten, so very refreshing! I always found myself pregnant / breastfeeding over Christmas so I feel your pain on that one! Oh that's a nifty trick, thank you! I've been doing some non-alcoholic cocktails of my own this summer and it makes you feel so much better than the nights when you have wine! These look soooo refreshing and the fact they're non alcoholic make them sound even more so amazing! I'll have to save this recipe for guests next time! Wish I'd seen this when I was pregnant! This looks refreshing! Never thought about drinking balsamic vinegar before though. Up for trying it on the next sunny day. That is a very interesting combination. I never in the world would have imagined that balsamic combined with lemonade can taste like Pimms. Great find! 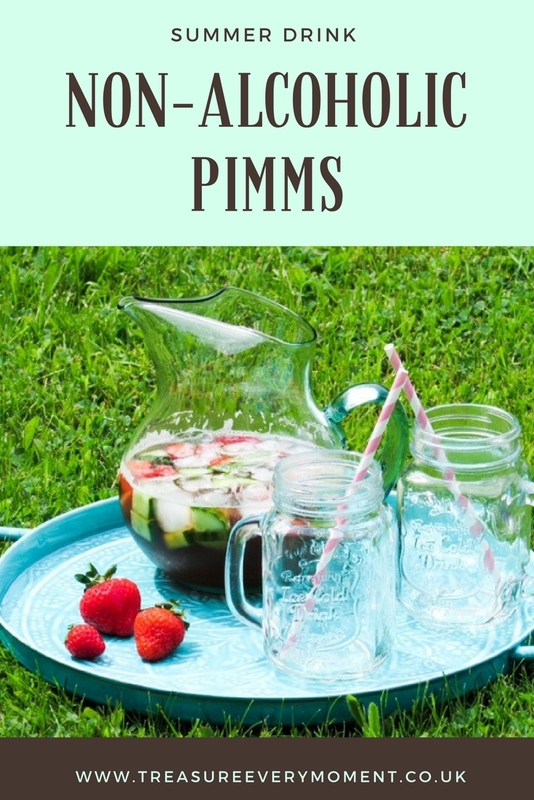 At first I was like.."whaaaatt, why would you ever want to make non-alcoholic Pimms, that's just insane"...then I read and it and I remembered back to when we had that really hot weather in July and I drank way too much in the garden and ended up with the worst headache...that's why I now want to make this! haha. I love pimms but a non alcoholic version! Yes please! Clicked reply too soon 🙈 I can convert my kids to being pimms lovers without being accused of child abuse by giving them alcoholic pimms! 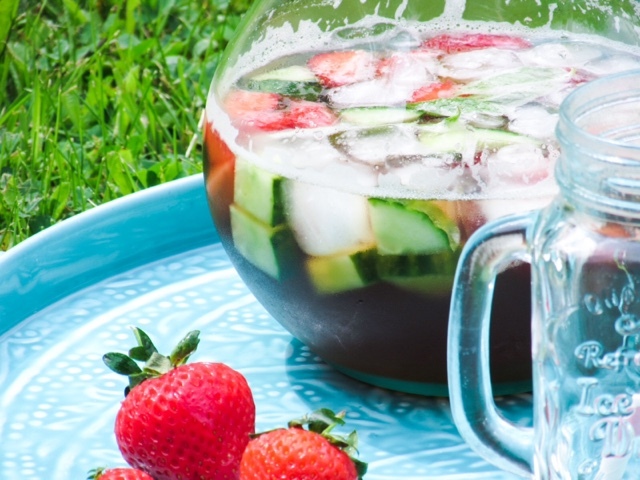 I've never been a fan of Pimms, but this looks and sounds delicious. I may have to try it! !